Electric Sam is back but this time he’s brought his lovely family to an all-inclusive resort, in the entertaining Sam on the Beach slot by Elk Studios! 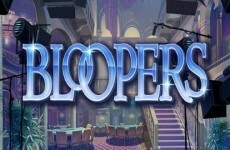 This fun and quirky game offers a jackpot of up to 227,520 coins per spin and some great bonus features. Join this wacky family on the sandy beaches but bring your metal detector because there might be some buried treasures! This slot has a lovely Caribbean vibe to it with the sound of rocking waves and fun music. On the reels you will be spinning to win with Electric Sam from the original slot game as one of the symbols on the reels, and accompanied by three family members. The Sam on the Beach slot has 5-reels and 243 ways to win with some really incredible features like re-spins, wilds, multipliers and much more. Get ready for a great time with Sam and the fam in this exciting new slot! 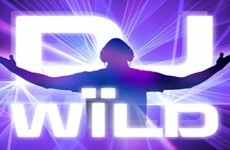 Logo Wilds – The logo symbol is the game wild and substitutes for all other symbols except the Bell Scatter. Beach Memories Re-Spin – A horizontal line combination of all family members triggers a re-spin with 4 Sticky Wilds! 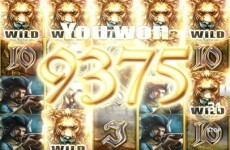 Bell Free Spins – Land 3, 4 or 5 Bell symbols anywhere on the reels to win 5, 10 or 15 free spins. 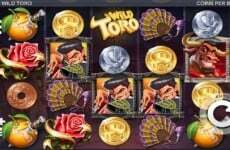 Every additional Bell landed during your free spins generates an additional free spin. 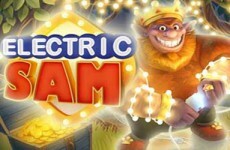 Sam Random Symbol – Sam electrifies a random symbol which becomes a Sticky Wild when three or more of him hit during Free Spins. Sandra Multipliers – Sandra generously hands out multipliers when three or more of her hit during Free Spins. Maggie Feature – Maggie fires her harpoon towards the landed symbols to increase the chances to win during Free Spins. 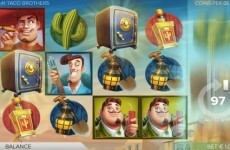 Ted Sticky Multipliers – Ted leaves his crackling radio behind, granting a Sticky Multiplier, when three or more of him hit during Free Spins.